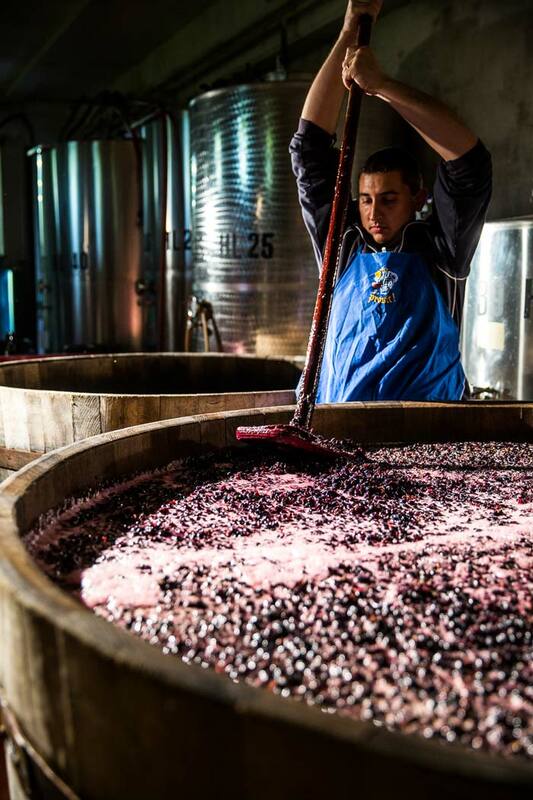 These natural techniques are not limited to just the vineyards but are also applied in the wine-cellar, where inspiration is taken from traditional oenological practices. 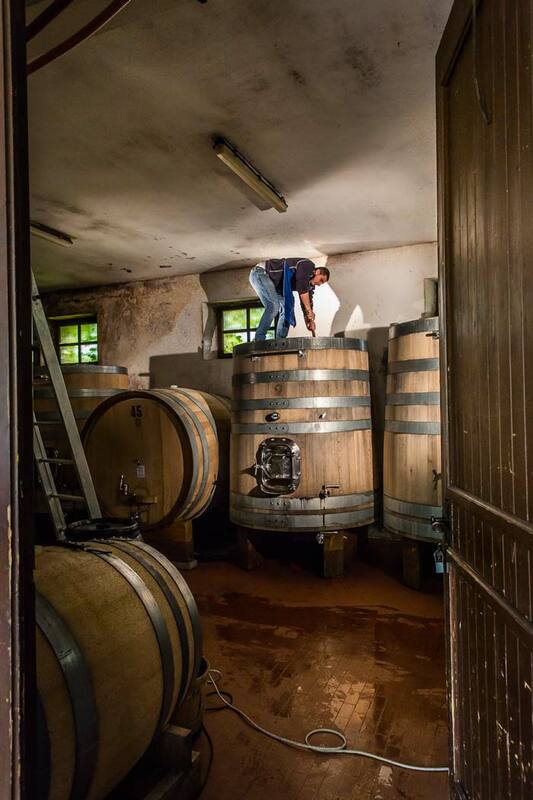 Thanks to maceration with the skins in conical vats, for shorter or longer periods, depending on the type of grape, the musts begin fermentation with the action of indigenous yeasts, to then continue ageing for two years in wood, in old, large casks, barriques or tonneaux. Very low sulphurisation, decanting only when strictly necessary and no temperature control, pursue the logic of minimum intervention. 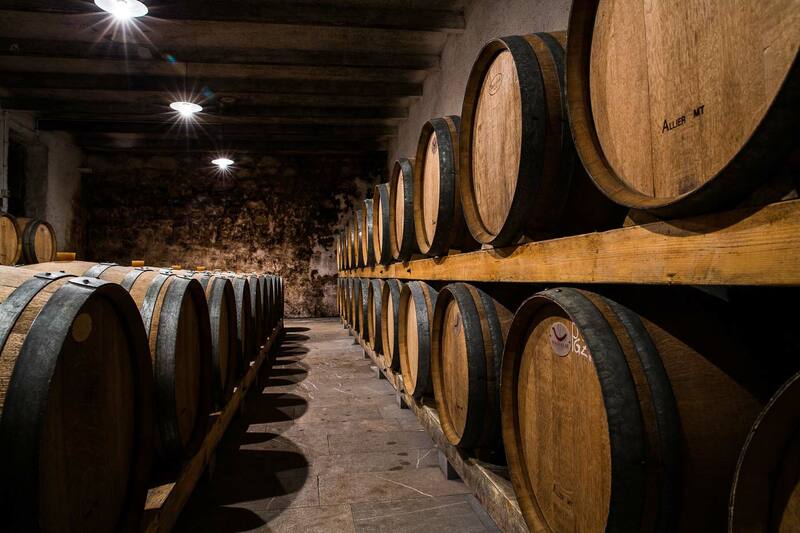 Wines that are aged for one or more years in small and large casks are then transferred to steel where they rest for a year, so that the sediments can deposit, and lastly, without any filtration, to the bottle, where they rest for the last year before being placed on the market.